The Robinson-Stewart House, top, is the oldest house in Carmi, and the site of much of Carmi history. 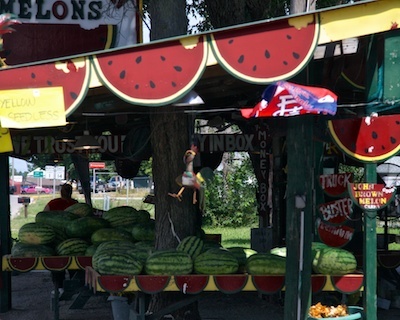 Brown’s Melon stand has been a fixture in Carmi for generations. Peace, quiet, relaxation are the main southern Illinois attractions, and for Carmi in particular. We’re not far from some of the best recreation areas in the country, if boating, fishing, hiking or outdoor activities are your thing. And Carmi is a great place for recharging your batteries in between adventures. If you like to relax in nature, there are the campgrounds at Burrell Park one of southern Illinois’ best, with plenty of inviting, shady trees and ponds well stocked for fishing. Interested in history? Carmi is one of the oldest communities in southern Illinois, and still retains much of its 19th century charm with many excellent architectural examples from that era and beyond. There are three museums in town for the history buff. 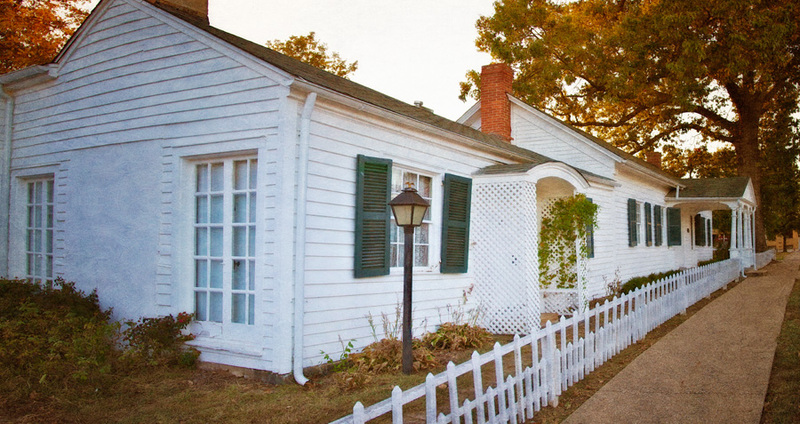 The first, the Robinson-Stewart House is the oldest house in Carmi, originally a log cabin before expansion and much of Carmi’s early history took place here. The Ratcliff Inn is a 19the century coaching inn, and of course, Abraham Lincoln slept here on his travels as a lawyer. The White County Historical Society Museum is housed in the L. Hass Building, a former sewing/general store, with many items of local historical significance. If you’re looking to explore southern Illinois, Carmi is a great day trip. Wander downtown and check out the architecture in the residential neighborhoods, take a country drive, wet your line in the water and pick out one of the sweetest watermelons found anywhere at Brown’s Melon stand, a Carmi institution older than all but our most senior of citizens. Dimaggio’s Pizza, above, is famous in the area, and likely the first place that comes up with great reviews when you search Google for places to eat in Carmi. 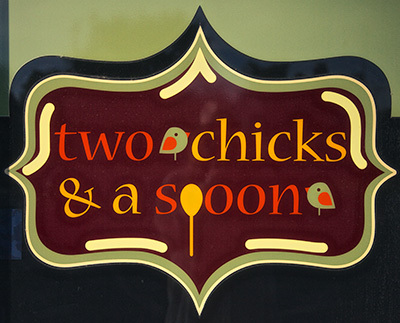 Two Chicks and A Spoon, below is a new offering to Carmi, for those looking for catering, from parties to business dinners. The great thing about a small town is you get to break away from the chains. Carmi has a handful of locally owned and operated eateries, from diners to pizza. For those who don’t mind driving, New Harmony, Indiana is a half hour away, which is one of the most beautiful towns in the midwest and offers world class dining at the Red Geranium. And of course, Evansville, Indiana is about 45 minutes away with all the chains you could ever ask for. The Social House, pictured at the top is known for its elegant decor and garden setting, and in addition to rooms is available for parties, luncheons, meetings and events. Above, The Webb-Hay house has five guest rooms, the basement pub and outdoor patio offers conversation and libations, while the third floor boasts plenty of room for conferences and parties. Coming soon, find dining on the first floor and outside patio. 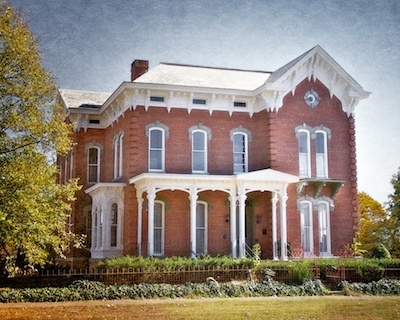 Carmi is blessed with two quality bed and breakfasts, both housed in historic old homes in Carmi center and offering experiences usually found in towns several times Carmi’s size. Both The Social House and the Webb-Hay House offer luxurious rooms, space for parties and events, and other amenities for the visitor who likes to travel in style. The Carmi Motel is a good choice for extended stays or for the person just looking for a place to lay their head and sleep. Or you can fall asleep to the sound of crickets by pulling your camper or pitching a tent at Burrell Woods Bicentennial Park. Whether it’s fishing to stocked ponds at Burrell Park, or launching your boat on the Little Wabash for river fishing, Carmi offers plenty of choice for the angler. Carmi offers two boat launches, one near the bridge over the Little Wabash which winds through southern Illinois, the other at the dam a few minutes upstream. We’re also a twenty minute drive from Hamilton County Fish and Wildlife Area, as well as Hovey Lake Fish and Wildlife Area. For those with bigger boats, it’s not much further to the Big Wabash River, as well as the Ohio River, which offers not only fishing, but skiing and water sports of all kinds.